A recent University of Waterloo study examined the impact of presenting vouchers to spectators attending elite-track cycling competitions to test whether they would participate in the sport. The study found that spectators who had a low intention to try the sport but were given a voucher were more likely to try it than those who had a high intention but did not receive a voucher for a free trial. 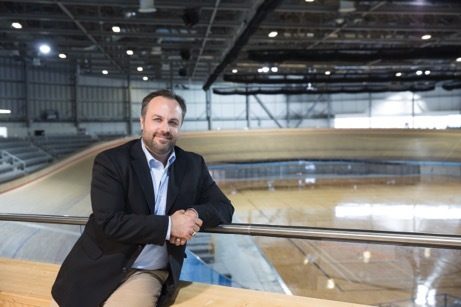 The researchers approached 338 spectators who had just watched track cycling at the Pan Am Games at the Mattamy National Cycling Centre in Milton, a new facility built for this sport. The researchers asked if the spectators intended to try the sport themselves. Then the researchers randomly assigned the participants into one of two groups: Those in the experimental group received a voucher to try track cycling within six months. Those in the control condition received $5. Of those sampled, 40 spectators (12 percent) eventually track cycled following the Pan Am Games. Of those 40 who participated, 31 came from the voucher group and 9 came from the control group. The researchers found that the likelihood of participation for spectators who had low or no intentions and a voucher was 11 percent, compared to 10 percent for those who had high intentions but no voucher. The likelihood of participation for those with low intention and no voucher was 0 percent. Spectators with high intentions and a voucher were 21 percent more likely to try the sport than those with low intention and no voucher. The study, From intention to participation: Exploring the moderating role of a voucher-based event leveraging initiative, was written by Luke Potwarka, Ryan Snelgrove, David Drewery, Jordan Bakhsh and Laura Wood, and was published in Sport Management Review.